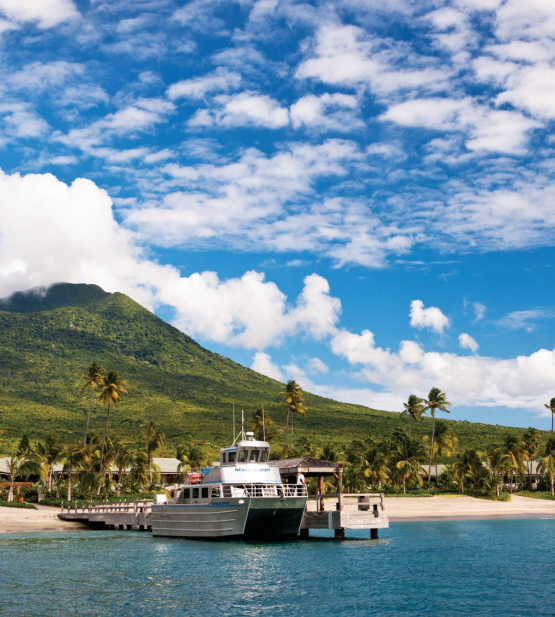 Nevis is one of the best-kept secrets in the Caribbean, and is the smaller and more laid-back of the 2 islands which make up the Federation of St Kitts and Nevis. It is a volcanic island (the volcano being long dormant) and has wonderful often deserted sandy beaches, and tropical rainforests. The island itself is roughly circular or sombrero-shaped. It is 56 square miles, and it takes about 40 minutes to drive around. 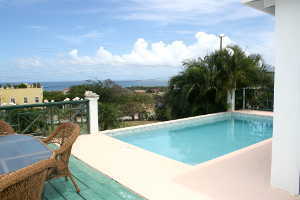 Nevis is renown for its friendliness, tranquillity, and slow pace of life. The only traffic jams you are likely to encounter are caused by donkeys, goats, sheep and other animals, and it is impossible to rush. 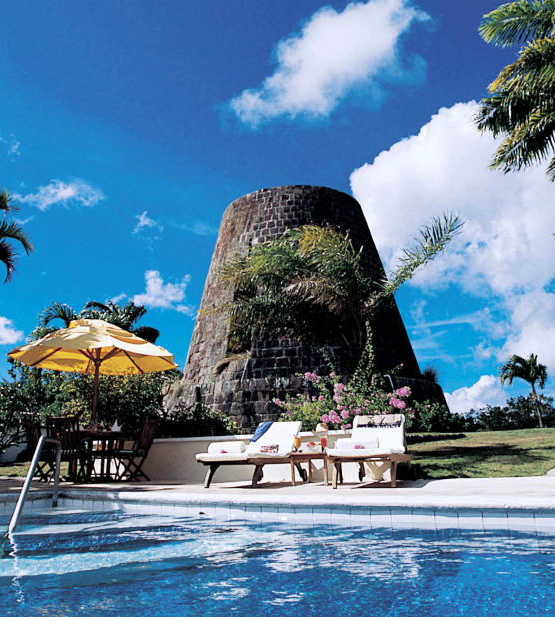 Nevis is an ideal honeymoon venue or base for family or activity holidays. 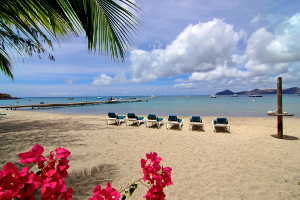 It still retains the old-fashioned charm and quirkiness which has been lost by some of the better-known islands. It has the reputation of being an “exclusive” destination; it is home to many up-market hotels, plantation inns and restaurants and attracts more than its fair share of famous people trying (and succeeding) in “getting away from it all”. 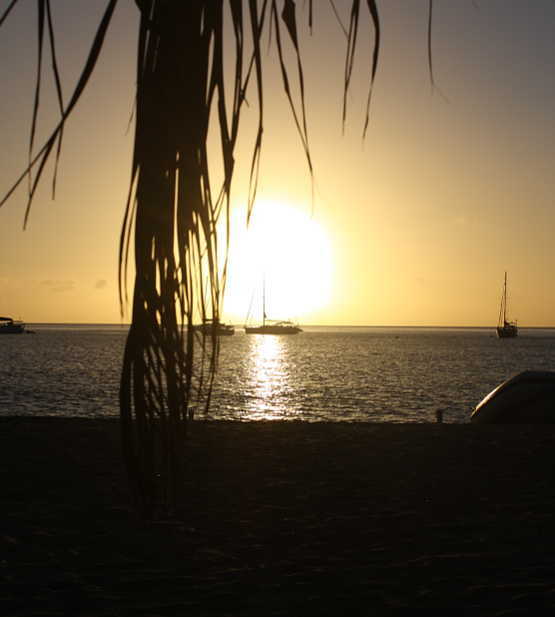 However, the charm of it is that you can still enjoy an authentic Caribbean experience by using local bars, beach bars and eateries, where you will soon get into conversation with local people. There are also many opportunities to experience local culture at events such as the mango festival and Culturama (which occurs around the end of July annually and showcases the local culture). (maybe a link to Culturama and an entry in the events section). 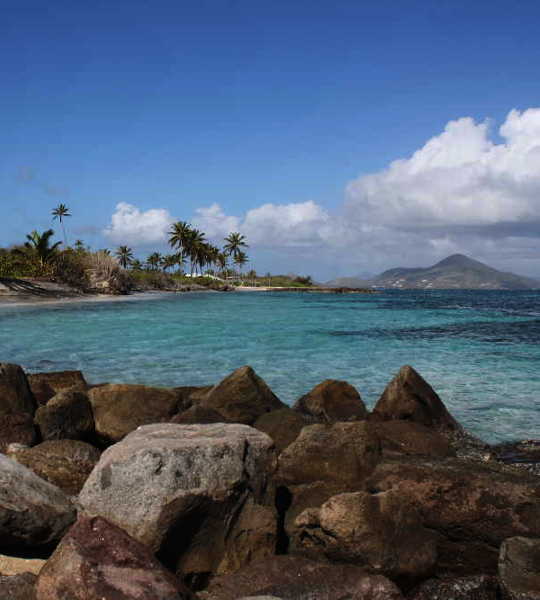 It is also only a short ferry ride over to St Kitts where there are many opportunities for sight-seeing and enjoying the lively town and beach bars. There are many activities for the more adventurous to enjoy, such as climbing to the peak of Mount Nevis, hiking, swimming, cycling, water sports (scuba, snorkelling, water-skiing, etc), quad-biking, deep-sea fishing, golf, horse-riding and quad-biking.